If anyone has questions, you can ask me here! Stay tuned guys, and don't forget to check the youtube channel for videos and more updates! Go check the new Dracovenator, on the facebook page! when is this mod going to be released ? With most mods, there is never a certain release date. It will be out when it's ready I'm afraid. Exactly. When the new tool comes out, we will all need time to learn how to use it, and that's another factor that will slow down everything... I can't afford to put a release date, because the truth is that even I don't know when the mod will be finished. Feed the fuel when the tool gets out. Even I will take a crack at it. But for now, I've paid my way for VIP to the unveiling of this mod so HA! The potential of this mod is just absolutely incredible ! The dracovenator and the other one are epic ! What new species will be present ? What is the list? Glad to see you're still working on this mod! Great work on this so far! I just checked out the Facebook page and its all looking so good. How's the progress on the behaviors going? Has there been any advancement in getting "Male" and "Female" rexes to pack successfully through .fsm modding? Are the behaviors in general going to be a big improvement over OG PMEP? Very much appreciate you guys' dedication to this. Let's just say that I've even found out how to make mating possible. But for now only for the carnivores! The rest is going fine: male and female will behave in different ways (according to species and scientific evidence), the carnivores will have spectacular fights both with herbivores, other carnivores and the same kind. Certain herbivores will seasonally migrate, others will lay eggs, others will fight for territory in a much more realistic way, some dinosaurs will be omnivores, some will engage in mating fights, some will even climb trees! And of course a lot more! Everything is possible in this mod thanks to the new tool that will come out in the future. 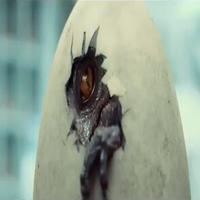 Just remember that everything you see will be based on what we know about dinosaurs, so don't expect fictional Jurassic Park stuff from the PMEP V2, like ninja raptors, or earth-trembling-when-walking rexes. And this is actually a good thing, otherwise without these differences all the newly coming expansion packs would look alike and have nothing special about them. Mamenchi, your post wins all. That's some of the best stuff that I've read about the possibilities of JPOG modding ever, and all so much thanks to equinox- tool. Behavior mechanics are so interesting. Good luck with everything and the PMEP2! Edit: Just seen the latest announcement on the FB page. JPOG is seeing lots of new life. HELLO YOU PASS THIS VIDEO TO TAKE INSPIRATION TO MAKE THE MOD IF YOU WANT TO LOOK FOR IN ENGLISH. Keep up the great work Mamenchi. Hope to see an update on this soon! okay..... i didnt know that is was even possible to make custom interactions and mating between dinosaurs and making dinosaurs omnivores and allowing them to climb trees?!?!?! okay, what can't fsm modding do?!?! 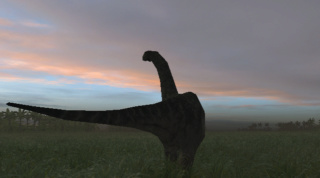 also btw i know theres this growing thing for dinos in flocks but if dinos attack they shrink again, is it possible to make it so instead of changing the size of the dinosaurs target it changes its own size? as in like over time the dino grows into an adult and stays that big? You can do this with animation editing. You would just need two sets of animations (one the small size, one the larger) and an animation for growing. You would then need to add the two sets of animations in to the FSMs somehow, but in theory you should be able to do it.